Today Apple published six new videos that focus on the iPad Pro. Five of them are continuations of the 'A New Way' series that debuted in January, highlighting the device's versatility in tasks like video creation, wedding planning, and serving as the perfect travel companion. 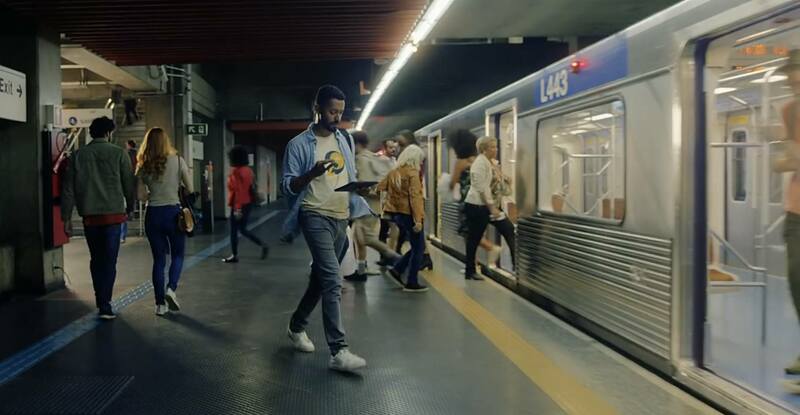 The final video, titled 'Life on iPad,' follows a man around town as he uses the iPad Pro during what's presented as an average day – he uses the device to make a Group FaceTime call, do illustrative work while connected to an external monitor, email a file, and draft a document during a flight. All five 'A New Way' videos do a great job showcasing real-life tasks being tackled on the iPad. Most are focused on getting things done, but the video about travel also highlights the iPad's strengths as a video player and even coloring book. The task-focused videos offer step-by-step examples of workflows that can be helpful to users aiming to stretch their use of the iPad Pro. As with the prior round of 'A New Way' ads, these all end by highlighting how they were filmed, edited, designed, and made entirely on iPad Pro, no doubt with similar workflows to the ones Apple previously documented.